Mighty Magnesium: What are the Benefits? 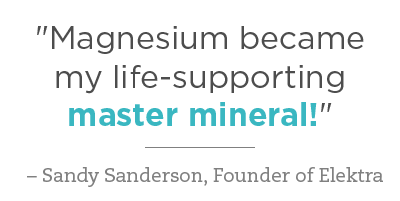 Magnesium is one of the body's most essential minerals, mostly found in our bones and tissues. This mineral helps to control bio-chemical reactions within our body, lower cortisol production and help stabilise hormonal imbalances. When we are scared, or our body is under attack, we release the stress hormone Cortisol. High Cortisol levels have the ability to cause distress in every area of the mind and body; most noticeably the skin, creating uneven skin tones and acne-like symptoms. Magnesium can help to regulate these hormone imbalances – yet, 80% of people are deficient in magnesium. Magnesium is often used to treat ailments such as osteoarthritis, back pain and muscle aches. This is because magnesium has muscle relaxant properties, as well as the ability to balance and reduce the release of the brain chemical, NMDA, which transmits pain throughout the body. The experts who created Elektra Magnesium completed thorough and extensive research in order to produce their amazing range of magnesium chloride skincare products, formulated to support your body on the inside and out. Sourcing magnesium from your diet can be hard. Green leafy vegetables and nuts and seeds are considered to be rich in magnesium, but this is only the case if the crop is grown within magnesium-infused soil. Due to changes in agriculture, levels of magnesium in our food have dropped significantly over the last 10 years. This is why it’s vital to find a new approach when it comes to supplying your body with its fourth most essential mineral. Oral magnesium supplements are a great way for you to boost the mineral levels in your body. However, your body can find it difficult to absorb the supplement and they can have a laxative effect – meaning a lot of the magnesium that you input into your body ultimately comes back out before your body has the chance to absorb it. Any traces of magnesium that do get through the gut wall can take hours before they reach the muscle cells. Elektra Magnesium has been formulated so that your body can absorb it quickly and fully; plus, once it’s in, it stays put and works its magic! When using any of the Elektra range, you will be receiving vital Nutrition via Skin™. Elektra Magnesium creams are designed so that you will not experience the stinging or itchiness that people often report when using a magnesium-based skincare product. A tingling sensation may be felt by the user as the magnesium salts deliver an ionic bio-electric charge when applied, but no stinging or irritation should be present. Starting their magnesium revolution in 2009, the creators of Elektra Magnesium are the proud receivers of the Best New Natural Beauty Product Award at the Natural & Organic Awards, Asia, 2018. Elektra Magnesium worked tirelessly to create a product that would help people suffering from any number of skin and/or muscular ailments. After years of research into transdermal magnesium, the team behind Elektra Magnesium created a product that not only guarantees to provide relief from ailments but is also accessible to those who are unable to afford expensive skincare products. The Island Spice Elektra Magnesium Cream is made using 100% food grade magnesium. It is completely free of any chemicals and is safe for every skin type. Those with thinning skin will benefit from the richness of this nourishing cream with its non-greasy formula. Elektra Magnesium is awarded an amazing 4.9 out of 5 stars by Facebook reviewers for its efficacy at tackling issues such as osteoarthritis, muscle pain, lower back muscle spasms and shoulder pain. Island Spice Elektra Magnesium Cream is not tested on animals nor are animal products included in its ingredients. Island Spice Elektra Magnesium Cream is a weightless, lightly-scented cream that provides deep moisture for dry or sensitive skin. 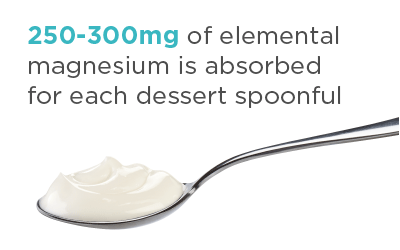 Each dessertspoonful measurement of the cream is equivalent to the average daily recommend magnesium intake requirement. When using the Island Spice Elektra Magnesium Cream, you will be able to float away with the delicate floral aromas. It has been crafted using the delicate fragrances of fermented papaya, pure essential oils of geranium Egypt, and magnolia. Allow the natural papaya juice and rich plant oils to replenish your skin with moisture – leaving a silky-smooth finish. The magnesium chloride is absorbed into the body when massaged into the skin. Here it can repair skin cells and tackle muscular and skeletal issues within the area it is supplied. StressNoMore are the only official UK stockist of Elektra Magnesium. Ensure that you do not purchase counterfeit products. Purchase from Elektra Magnesium’s chosen UK distributor to guarantee that you receive the highest quality, original magnesium chloride products. Purified water, 15% Elektra Magnesium chloride hexahydrate, Butyrospermum parkii (shea) butter, naturally fermented papaya enzymes (made from Carica papaya fruit & seeds extract, paw paw leaf extract and green tea extract), Cocos nucifera (coconut) oil, Cetearyl alcohol, Prunus amygdalus dulcis (sweet almond) oil, Prunus armeniaca (apricot) kernel oil, Ceteareth-20, Theobroma cacao (cocoa) seed butter, Mangifera indica (mango) seed butter, Lecithin, Cannabis sativa (hemp) seed oil, Tocopherol (vitamin E), Glyceryl caprylate, Xanthan gum, Vegetable glycerine, Azadirachta indica (neem) oil, Potassium sorbate, Vitamin D3 (cholecalciferol), p-Anisic acid, Alpha lipoic acid, Citric acid, Vitamin B3 (Niacinamide), Vitamin B6 (Pyridoxine HCL), Essential oils of: Pelargonium graveolens (geranium Egypt), Michelia alba and Ravensara aromatica. The treatment of skin ailments such as eczema, dermatitis, dry skin, acne and aches and pains of the muscles, joints and bones.